A brilliant day out – please go along and support our local Church! Get ready for our big summer fair – raising money for a new church hall to be built! This will be hugely beneficial to the area, creating clubs and events that the whole community can be involved with, young and old! Church Lane will be closed for this event so we can fill it with table tops, rides and more! Please message the page or Becky on 07877 777511 to book your table if you are a business – £10 a table, all going towards the new hall! A fun day out for all the family to get ready for the summer! 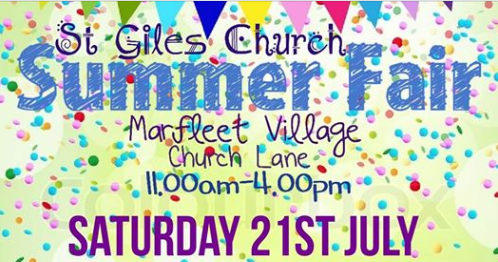 The St Giles Summer Fair will be on Saturday 21st July.